2 Questions. Why STR? and Did you buy as STR or convert? ForumsArrowShort-Term and Vacation Rental DiscussionArrow2 Questions. Why STR? and Did you buy as STR or convert? 1. Did you buy your property as an established STR property? 2. If not, how did you decide that renting as a STR would be more profitable than a LTR? 1. No. It was a month to month rental. 2. Month to month paid $350 per month. I put 4 beds in 3 rooms of the house and charged $210 per week. 4 co-workers rented it and paid $840 per week. They moved out 6 weeks later, my phone rang the same day. 4 other of their coworkers wanted the house. They paid $840 per week for 6 weeks, then moved out. My phone rang again, this time there were 3 people. They paid $630 for about a month. Weekly rentals brought in about $3600 per month, while monthly rentals brought in $350. The math wasn't too difficult. This is on a $12,000 house. Oh, they didn't speak English very well, and I spoke Spanish even worse. I knocked on the door the same day each week, they opened it and handed me the rent money. I handed them a receipt. That is all the interaction I had with them for the duration the house stayed rented. Knock Knock and money/receipt exchanged hands. The first house I bought had been a LTR but I bought it for STR. The house I'm signing on tomorrow is already a STR and I will continue with it as an STR. I decided to go with STR for a number of reasons. First, I live in California where property is high priced and cash flowing as a LTR is difficult. For my first property, I wanted to get something relatively local, so I had to start thinking outside the box. Also, I enjoy using AirBNB on the guest side, and every time I'd stay someplace I'd think that I would enjoy hosting. But I didn't decide to get a STR until I went out of town for a long weekend, and drove through a gorgeous little town on my way, which clearly drew a tourist crowd and appeared to be thriving. I'd considered staying there for my trip, but chose not to because the AirBNBs were so expensive! This is nice, I thought. I wonder how much houses are here? Turns out, the houses were in my price range, and so I crunched some numbers, and the rest is history. I'm buying a second property now (this one out of state) because I've enjoyed myself so much with the first one; I like being more involved than I would be with a LTR, and I like the returns. I could never get myself that excited about LTRs - I definitely don't have that problem with STRs! I'm not making money hand over fist (yet), but I'm learning so much, having a great time, and I can't wait to do it again. @Julie McCoy My situation is similar. I had vacation rented this house with friends for a few nights, and I realized I was paying $300 or so a night for a $300k house. Light switch turned on. I've bought a number of large properties over the last 2 years. So far so good, with a few ups and downs. Even given some major hiccups and properties being zoned out of short-term rental potential, the returns look amazing overall. We bought a lake house as a 2nd home. I already owned many long term rentals. I'm a big fan of the book "Rich Dad Poor Dad" so I realized this house was a liability instead of an asset. We could only use the house so much since I have a full time job. So it made sense to rent the house out at 300 to 500 a night when we couldn't use the house. Since we are on a lake and close to Clemson University we rent a lot year round. We have people rent the house every December that are from Canada. 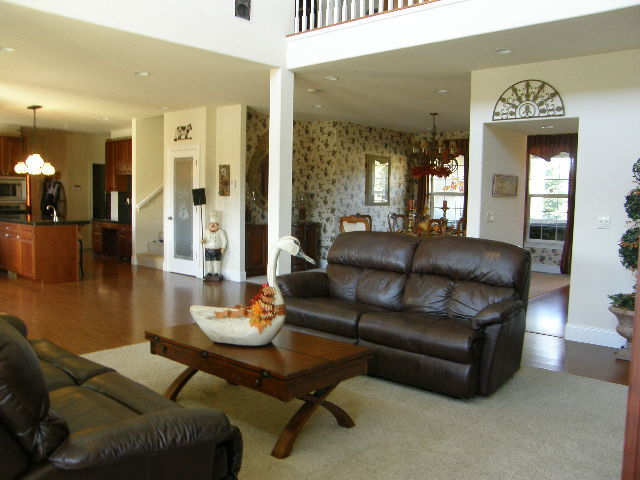 I originally just wanted to offset my costs but we quickly started making money and get to use the house when we want. 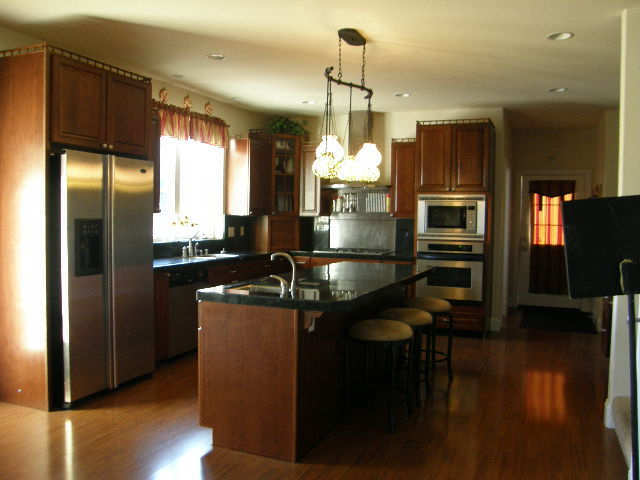 It is fun to reinvest some of these profits into upgrades to the property. Homeaway has kept our calendar slam full. If I don't block off some time for us the house gets rented. I am a former employee of VRBO/Homeaway. I worked for VRBO when the original founders owned it, and stayed with the company after it was sold to Homeaway. So I've been immersed in the vacation rental business for a long time. In fact, one of the first responsibilities I had at VRBO was to manage the STR owned by the founders. I learned how to manage a vacation rental property from the leaders of the industry; I was very fortunate to learn from the best. When my husband & I decided we wanted to buy an investment property we only considered STR. Our first property (2 BR/2 BA condo) is located in the quaint mountain town of Dillon, CO. Two years later we bought a 2 BR/2 BA condo on the beach in Fort Walton Beach, FL. Two years later we bought another condo in the same building in FL as the first one. One year later we bought a home in Lynchburg, VA where our Alma Mater (Liberty University) is located. We are currently under contract to purchase a third condo in the same building on the beach in FL as the first two. The FL condos are the best ROIs, but the CO condo is just a tad behind those. The VA home is pretty new so we'll have to wait and see how it pans out, but after not even 3 months of renting we are only $200 short of half of our annual goal for the property to at least pay for itself. I love this industry! I enjoy hosting others in our properties and I also enjoy sharing my expertise with the clients who hire me to help manage their STR marketing and bookings. I am thankful every day for the opportunity that I received when I was hired at VRBO; it has changed our lives! 1) Liquidity of investment. You can sell a STR property anytime. LTR would reduce the number of buyers especially when it's a SFR. Not to mention cities like LA with rent control and tough eviction regulations. 2) Flexibility of use. Want to use yourself? Need for a family member? Just block the period on the listings. 3) Maintenance and repair. STR properties are always in good technical condition, because you have to. Try inspecting a STR property and compare to an average home of that type and you'll see. 4) Look & Feel. 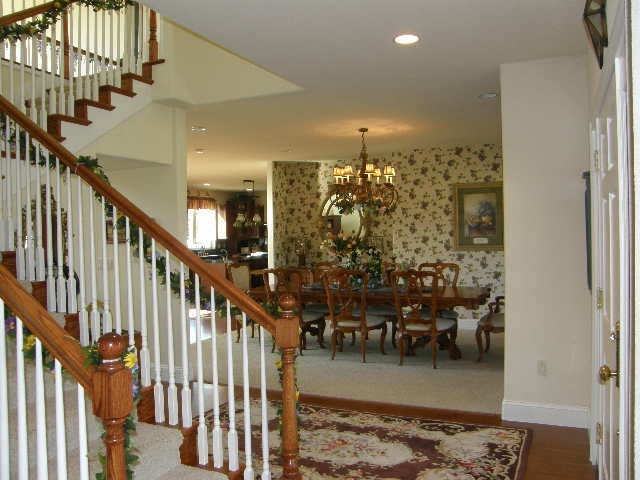 Since a STR property is nicely decorated and always clean, it's a pleasure to own. Your guests pay for maintaining your property clean and shining 24/7/365. 5) ROI or Cap-Rate : This one may seem obvious. I put it at the end because although it's true, it does require more work and time. STR IS NOT A PASSIVE INVESTMENT. 6) Appreciation: Because of all the above, they sell slightly above price. As for buying STR or converting, I converted. When shopping for a property I am not coming across many STRs, probably because I focus on purchase "deals". I don't believe an already working STR can be purchased cheap. 1. What price point are your STR for a per night price? 2. Do you have a minimum number of nights? I have a large 4600 sq. 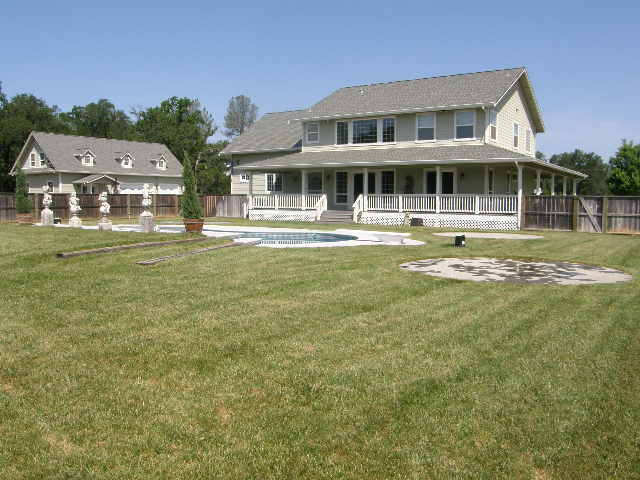 ft. home on 20 acres with a guest house, pool, and seasonal pond. I'm in the process of permitting to ADU which can be rented. Unfortunately, my monthly payments are 5,000 per month. However; my house is within close distance to Bethel Church in Redding, CA that has a ministry school drawing students and people for conferences from around the world, and they're doing a $96 million expansion. In addition, I'm close to Simpson University, Shasta Lake, Whiskeytown Lake, Shasta Dam, Sundial Bridge, Shasta Caverns, Burney Falls, Whiskeytown Lake, Mt. Lassen and Mt. Shasta (all are within 10-30 minute drive) So it's great for tourists too. I've currently renting to a sober living home, but thinking about going STR. I can easily set up to sleep 12 in main house, and Guest house 6. It would be great for family reunions, wedding parties, holidays, bridal parties, retreats, etc. I just have NO experience with STR and not sure if it would be marketable for enough of the year. Though, it's one of the sunniest cities in America. What a beautiful home, @Karen Margrave ! I think your market is quite a bit different than mine, so I'm not sure that my experience is directly relevant. But to answer your questions, my prices range from $150-295/night with a 2- to 3-night minimum, depending on the time of year (I have a 2/2 + loft riverfront house that sleeps six). I was about to point you towards the STR as Wedding Venue thread, but I see you've already seen it! All the advice I'd give you is there - though I do see you have a bit of a zoning concern. I'd still recommend doing some market research with event professionals in the area, to gauge interest (and profitability!) - even if you can't strictly market it as an event space, that would also be a way for you to "get the word out" without advertising as an event space or other activities that would alert the zoning commission. And definitely poke around on AirBNB and VRBO for comparable properties, take a look at their calendars and rates, maybe reach out to a host or two to see if they'd be willing to discuss it with you. @Karen Margrave same answers as @Julie McCoy regarding your 2 questions. Keep in mind, the same way STR is a different business than LTR landlording, the business of event venues is also very different than urban STR yet different than suburban rentals. Target audience/market is different... you are solving a different problem for those clients. I don't know if what you are projecting will work or not, but one thing is sure, if I had to do that, I would not rely on my experience in LA or OC. I would do my market analysis just like in any new business, more looking into wedding venues or other event venues in comparable locations in the state. I think those venues get booked more through partnerships with event planners than from airbnb/vrbo but not sure. I am new to the concept of STR, and I can see it is getting more and more popular, what amount of time are you spending on your STR? per day, fielding calls from STRenters ? per week, cleaning, restocking, etc? per month, forecasting for upcoming events, financials, etc. do you tend to meet with the STRenters or just have a lock box/electric lock? I spend about 20-30 hours a week total with my rentals for all the reasons you mention in your post. That's 3-4 hours a day. But about half of that time I'm not really doing anything serious. 30-90 minutes a day is collecting rent, or waiting to collect rent and drinking beer. I meet the STRenters at their house to collect. Repairing some appliance or doing something crafty in the evening while drinking beer is another 30-90 minutes a day. Cleaning, restocking, buying supplies from WalMart, etc. That's 5-10 hours a week. My regular job is about 1-2 hours a day at a medical clinic doing pre-employment drug screens. It's 10 minutes of work at a time spread out randomly between the hours of 8:00 and 5:00 (but about half of the days work is done between 8:30 and 10:00 in the morning). I don't have to be at the clinic all day, but all 22 of my STR's are in a 1.25 mile radius of the clinic. So I can be there in about 3 minutes if I'm doing work or just goofing off at a vacant house. The people I test are the people I rent to. When I'm at work and not doing drug testing, I do all the promotional and marketing work for my STRs. Mainly sending sales letters and flyers to companies that will be sending their employees to this town for work. I also plot and implement the stealing of renters from my competition and getting them out of this business. I also see what's going on in the local real estate market, who is buying what and who is selling what, and for how much. This is about an hour or two a day. A lady used to clean my houses for free. Now she takes some of the rent money, whenever she wants and however much she wants. But I get to sleep with her. I have the house in Redding, in addition to buying property in Sunriver, Oregon. Redding is definitely a unique property, but there's not a lot available for family reunions and larger groups. However; for now I have it rented month to month to someone, so may hold off on it. Basically I wanted to hear from some of you on how you decided to go STR ove LTR on your properties. We build new homes, and are considering doing a few specifically for STR, and we're looking at the pros and cons. Also, some rehabs. @Karen Margrave great questions and post. Everyones responses are super helpful. I'm interested in learning more about the idea of managing STR properties out of state or long distance, excuse me if this is a newbie question, any pointers appreciated (I imagine this is a common question). @Paul Sandhu great post, sounds like you have a good gig going there and a constant stream of renters. Has the changes in legislation in re: to hotel taxes or allowable days a home can be rented per month effected your business? I know some municipalities are trying to do away with STR depending on housing availability, etc. @Paul Sandhu Has the changes in legislation in re: to hotel taxes or allowable days a home can be rented per month effected your business? @John Bucknum My town does not have typical demographics. There have been 5 homicides this year, with a population of 9,000. The national rate is 5 per 100,000. Drive down any main street and you'll see meth heads, zombies, tweakers on bicycles, and other non-productive members of society. Vacant houses can be occupied by squatters. One local police officer was caught in an undercover prostitution sting. Another was caught supplying minors with alcohol. This town has bigger problems than rental legislation or hotel taxes and the like. That's why there is almost zero legislation regarding these matters in this town.